So said Mark Twain , who’ famous phrase has been echoing in my head since quite some time. At long last I have taken the step to begin a new journey into the un-chartered territory of my dreams. My initial nervousness has been quelled by my every increasing excitement and now look forward to a new beginning. After two and a half days of travel have finally reached Gantok to begin my volunteering stint with TMI. Both the train journeys were pretty good but my head is still spinning a bit from the five hour winding ride from NJP to Gantok. The air has a mild chill since it rained this afternoon and the skies have cleared out to portray beautiful dusk colors. Maybe that has helped clear my head from the doubts. 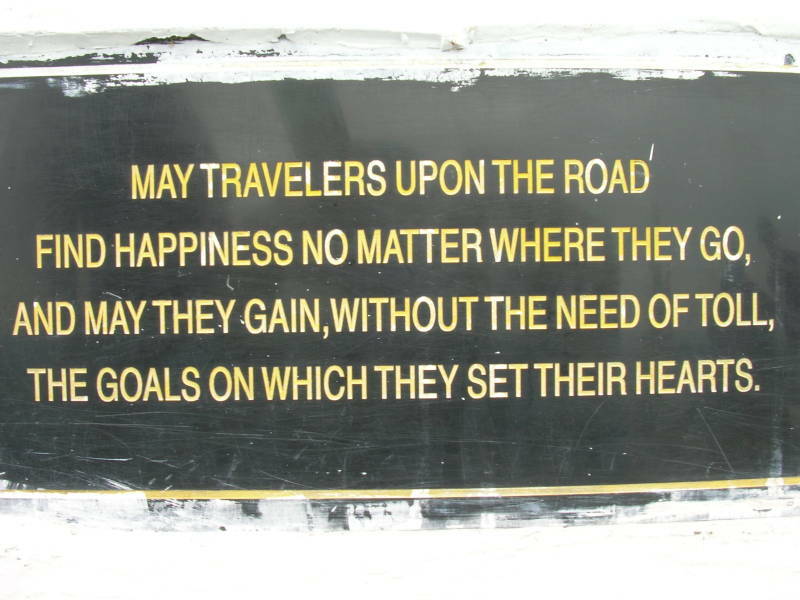 Will end with this beautiful Buddhist saying I had photographed on the Sandakphu trek.